Fish attracting structures have been added to this reservoir. 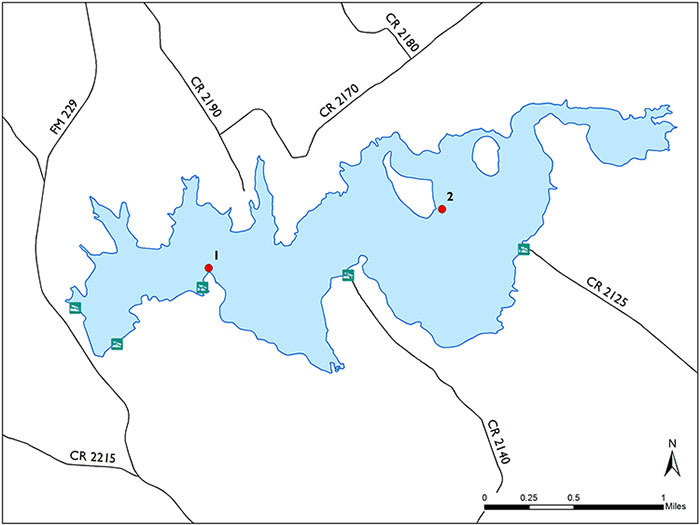 Anglers may use GPS in conjunction with a fish finder to locate these structures. Coordinates are also available in downloadable files. This habitat project was supported by purchases of the Bass Conservation License Plate.